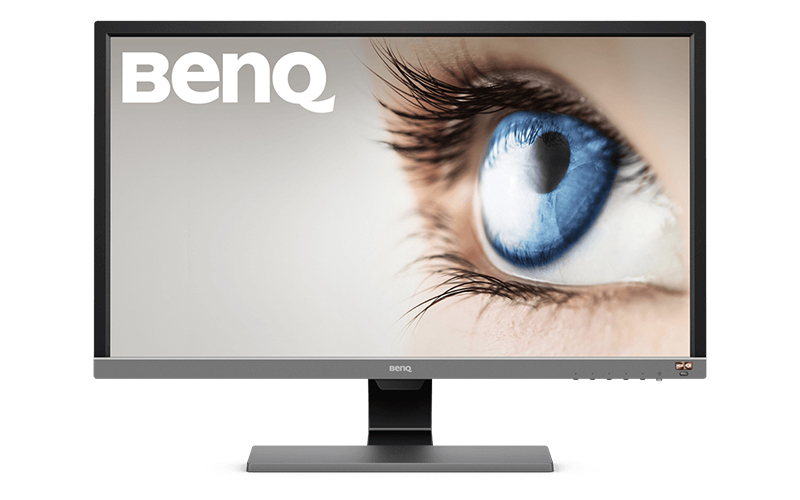 BenQ has joined the ranks of display makers with a 4K monitor that also supports High Dynamic Range (HDR) content. The EL2870U is a 28-inch home entertainment monitor with the chops to serve as a gaming display as well, with support for HDR10 and a speedy 1ms response time. However, don’t expect the best in terms of HDR-ready displays here. The EL2870U uses a TN panel to achieve its quick response times, so you could probably do better in terms of color reproduction and viewing angles. Furthermore, the maximum brightness is rated at only 300 nits, which means it doesn’t even qualify for VESA’s entry-level DisplayHDR 400 certification. The advertised support for HDR10 notwithstanding, you could argue that the display doesn’t quite make the cut as an HDR panel. That said, BenQ isn’t the only to claim HDR capabilities on a display with lower than expected peak brightness levels. The company is including a so-called premium high-speed HDMI cable with the monitor, and it’s recommending you use that with HDR content. In addition, the monitor supports AMD’s FreeSync variable refresh rate technology to reduce screen tearing and stuttering and ensure a smoother experience. This is a 60Hz monitor, so this technology could really come in handy. It is also equipped with a pair of 2W speakers and accepts DisplayPort 1.4 and HDMI 2.0 inputs. Having said that, the most attractive thing about the monitor is probably its price. At US$499, it’s a fairly palatable price for a 4K monitor, even if it may not be the best specimen for HDR available.